HEALTHY FOOD IS THE OCTANE OF YOUR CONSCIOUSNESS. The health you have is based on your selections of the fuel you choose to intake. The food you eat has vibrations and the closer it is to the sun and the natural states on nutrients, the more it will bring purer energies into your body mechanisms. What is felt by the animals is contained in the tissue. Never underestimate how this will influence your consciousness. As you begin to awaken and become more full of light you will naturally require the foods closer to light. Your selection of food is in direct proportion with your frequency and vibrations. If you want to excel in your spiritual paths, start with your diet. the body needs to combust to fire the foods you eat, so breathing and exercise are essential to a good state of health. Know that if you are excessively tired you are showing signs of a toxic body. Pay attention to your body, it will always give you signs of what it needs and when it requires healing and cleansing. Do not wait till it becomes a disease. Many of your sicknesses come from your diet and ignorance to the maintenance of your bodies. You would do well to maintain your bodies. Author theteachingsofquentialPosted on November 11, 2017 Leave a comment on HEALTHY FOOD IS THE OCTANE OF YOUR CONSCIOUSNESS. FIND YOUR IMAGINATION, AND YOU WILL FIND YOUR ABILITY TO CREATE. Deep within are your visions and your quest. Look there, and you will find the hidden realms of your genius. Your thoughts are possibilities and courses of action that you can form into being if you so desire. The problem is this takes action to bring into form, and many have self-doubt and low opinions of themselves so the would rather follow the paths of the common group mind and achieve little in their lives. Imagination is the faculty of imagining your creative visions into form. Ideas not made real in your life as of yet until you feed these images with interest, fascination and passion. And it is with a curious mind and nature that the soul is persuaded by the mind to the vision and creativity. Getting in good habit makes the rhythm of your life in-sync when used throughout your day and in your dreams. For your thinking becomes the blueprints to manifest when you take the time to design your life and plan it. When you learn to will and intent on action, your power flows with the particles of energy from the ethers into form, this is called MAGIC. As you align with your soul on your inner journey into nature you will learn to control the energy threads into a form that directs the material world of the outer. Learn to harvest and use these energies as directed with and by your soul and things will manifest. This is when you become the cause of the effect not the effect of the cause of your life. In doing so, you will cause changes to occur in conformity with your will. The ingredients of magic are a vision with feeling, imaging and action. Just remember to walk your life as a contribution to the world and in harmony and learn to control the forces within yourself with wisdom and good intention. Thoughts and emotion create form. As you gain wisdom, you will learn that contradictory forces are in fact complimentary for the world in duality. All things are connected, and we are all part of the entire spectrum of the Universe. Be your dreams and find them, this is your mission. Master your self and find the achievement of harmony. Author theteachingsofquentialPosted on November 10, 2017 Leave a comment on FIND YOUR IMAGINATION, AND YOU WILL FIND YOUR ABILITY TO CREATE. IF WE ARE NOT FLOWING WE ARE STAGNATING. Energy needs to flow in our bodies like breath or it becomes stagnate. This goes from survival to sexual energies, and heart and mind. We need to be creative and in action and to rest and restore like breath. Many of our ailments are the result of stagnate energy and holding patterns trapped in our bodies by fear. Sometimes something as simple as a long walk can restore our energy and get us in a metabolic flow. Elimination and periodic cleansing of our bodies are essential to a good state of health. Not only must you stretch your body you must stretch your mind as a daily habit. Learn the art of balance. Expand your energy and recharge it. Keep in the movement with your body and mind or it will stagnate. It does not matter what age you are, this is essential for vitality and invigoration of your body and movement is a must. Remember life is always choices and action. How you respond to negative people and their “gifts” is your choice. You do not need to open them and hold on to them. Things in your life have value by the charge you put into them, and so do beliefs. Just know that when things stink in your life you may need to take out the garbage. Be away from negative people and media for it breeds disturbances within you. Everyone has magnetic resonance and it will induce upon you by association. Be selective in your encounters and who you choose to be with. Learn to be with yourself now and then and open up to nature. This will give you a better sense of who you really are. Just learn to let things settle in your mind and cool down and wait for your higher self to come forth. It is always there beside you. Find your inner love and peace and keep attentive to your pile and garbage you cycle through. This will always be and is your maintenance. Know that it is not just your garbage, it is the restless mind of man that has lost his path and connection to nature. Author theteachingsofquentialPosted on November 10, 2017 Leave a comment on IF WE ARE NOT FLOWING WE ARE STAGNATING. THE POWER TO MANIFEST BEGINS WITH INTENTION AND UNION WITH THE LAW OF KARMA THROUGH LOVE AND SERVICE. When you attenuate your focus of ideas and dreams with purpose and service, you open up the connection to your soul and the Universe responds. Joy is the state of flowing creative energies and LOVE through your being. It attracts it, the universal flow of energy, for you are in the flow of your principle as an active agent and cell of the Universal Presence which you are ONE with. It is in the giving and receiving the breath of this principle that you are a flowing river of resource and function. This is when you are in harmony with intention, thinking and action. You cannot receive unless you give. If you give out negative energy you will draw more of that principle to yourself. If you give joy and something to everyone you meet and indent them with something that rewards them, you are sowing the seeds for more to flow your way plus in doing so you have touched others. Giving and receiving are like breath or the waves of the ocean in principle. When you have LOVE based in your heart you do not need to hold on to fear of not having, for in essence it is LOVE that binds all things together. Changing the place of judgment to others including yourself leaves room for good things to flow. Remember judgment is based on your belief system, self-values of what you need to hold up what you think you are not. Find the fullness of spirit and self-presence and the mind base value of things, and titles that come from a lessened opinion of yourself does not become stuck in material possessions and accumulations. LOVE is the spark that ignites the soul into action of unity and oneness. Invest in LOVE and your returns will be joy. Take time to quiet the mind at least half an hour a day and to just sit still and feel LOVE and imagine LIGHT all around you. Doing this will shield the negative and create the focus fields of energy you visualize about you. In today’s world, this is ever necessary to cleanse the fields of the confused world around you. Abundance is a state of mind and heart given action. Listen with your heart and you will gain the notions of opportunity to the things you need and ask for. Learn to ask the Universe with specific instruction, like placing an order and let the Universe provide you with your needs. For most of the limits in your life are not real but your disvalued self-perceptions and self-imposed restrictions. Get connected to your soul and know it, for it is your best friend and meaning to be. Take heed to life and the notions that you feel with your inner senses and you will be guided by the true source of your nature. Author theteachingsofquentialPosted on November 10, 2017 Leave a comment on THE POWER TO MANIFEST BEGINS WITH INTENTION AND UNION WITH THE LAW OF KARMA THROUGH LOVE AND SERVICE. You walk in the path of yourself alone and it is like you are waking up and leaving where you were and need to go home. And you are walking alone, you know the way but have forgotten. You are hearing for the first-time parts of yourself renewed and integrating yourself. It is as if no one understands you because you are waking up and seeing the world in a different LIGHT but something draws you to a great essence. And so, your information is different than theirs about what you are. This marks the beginning of your transition and inner growth. Yes, you are leaving the past realities for it does not fit your new understanding, and this you FEEL. And you are moving into the uncharted territory of your mind, soul and heart. At first you are in limbo but as you move, your speed and knowledge of your path becomes clearer and things begin to fall into place serendipitously. For this shows you that your new growth to your higher awareness is meant to be. Even your dreams are becoming more deep and intense. You are feeling you can fly and travel and this gives you a remembered joy when you awaken. What comes to be is that each night you dream you are gaining more information and knowledge. These are the steps and the way out of the Matrix and your inner connection to the Universe. “Bring stillness to yourself, and turn yourself in”. Disconnect from the pulling of the world and listen to the noise that calls you from the outer. Then listen to the “selves” of your mind scripts. So many voices, and each with a certain intensity and direction. It is when you hear the most knowing and ageless wisdom, that you grasp the connection to your soul cord. It is always there but often drowned in a sea of noise from the outer and the mind. Remember, you came in alone and you will leave alone, but you also had a companion and that was your soul link. If you would take it upon yourself to hear the knowing presence within and to abide in the teachings and wisdom, gone would be many of your needs to be seen and heard. For in the acts of listening, the voice of your true being becomes ever present and the many useless noises of the outer to pull you astray are lessened. So this is the path to self-realization and freedom, for life is easier than you THINK. To be friends with yourself is the hallmark of happiness. 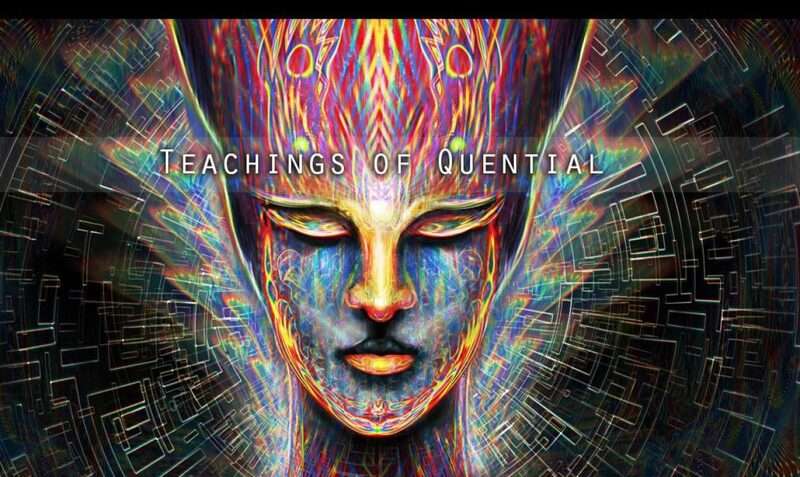 Take time this New Year to acquaint yourself to the magnificent beings you are. For to only cater to the world, you will sure be insignificant. You will be the slave of many desires that have been conditioned into by the propaganda of consumerism and status quo. And dear ones, the body is not eternal. Nor are the things you cling to. But to find unity within yourself and a balance, you will be in the flow of the cosmos that flows through you. GRASPING OUR HIDDEN POWER BEGINS BY DETERMINATION TO CREATE YOUR DREAMS. Learn to explore the power of your dreams. Dreams are the most primal hidden aspect you have to the collective of your group minds. You are what you have always dreamed about in the forming of your dreams into knowing. The unique creation of your potential happens when you can become proficient at being lucid in your dreams. When you learn this skill and bring it into consciousness from the unconscious, then you will begin to manifest things much more quickly in your life for you have the power to manifest in your dreams. When you learn to dream your imagination is your only limit. Know and practice to keep this doorway open to access and it does not need to be accessed only when you sleep. So vital to being the genius is this ability to use the media of the astral and create holographic images and feed them live with your mind’s imagination. Throughout history icons like Nikola Tesla have tapped into this knowledge and could create mechanisms and test them in their minds and have a complete working vision from the media of the astral dream states. Learn the art of visualization, for this is what can give you the power of your imagination manifested. This is how you can break away from the commonness and be truly unique and creative. Think of it as a canvas that is energized by your every stroke of mind thoughts and images. I would encourage you to learn these skills and bring them into your meditation. In doing so, you can change your life and bring to be your dreams. Author theteachingsofquentialPosted on November 10, 2017 Leave a comment on GRASPING OUR HIDDEN POWER BEGINS BY DETERMINATION TO CREATE YOUR DREAMS.